Calmont Beverage was founded in 1941 as a way to slack the thirst for wine of Vermont’s unique community of Italian granite quarry workers, but we didn’t stop there! Our first beer brands included Hampden Ale of Millimansett, MA, Ballantine Ale of Newark, New Jersey, and Schlitz “the beer that made Milwaukee famous” which was the top selling brand at that time. In 1986 Pete Slosberg launched Pete’s Wicked Ale. The following year Calmont became his first New England distributor. We continued to expand our portfolio and sales into the 90’s. We were approached by a local homebrewer named Bob Johnson and hippie entrepreneur, Alan Newman. They were just back from a cross-country tour of “micro breweries” and hoped to open one of their own in Vermont. They said that if they pulled it off it would be like “pulling a rabbit from a Magic Hat” and the name stuck. We represented Magic Hat Brewing Company from its inception in 1994 until its sale in 2010. Vermont brewers are still a mainstay of our craft beer business. We proudly represent both Rock Art and Trout River. 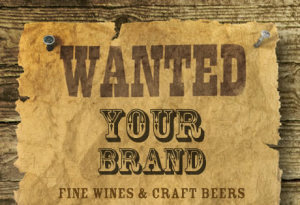 Regional craft brewers in our portfolio include Dogfish Head of Maryland and Unibroue of Chambly, Quebec. We have a full range of popular imported beers and are regional Vermont distributors for Miller Brewing Company, Coors, Corona and many others.